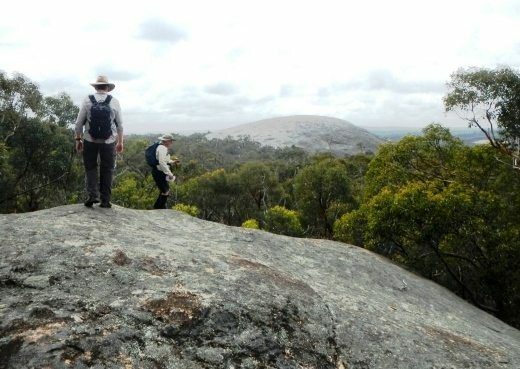 Walkers on climb up the northern bald granite dome of Boyagin Rock. 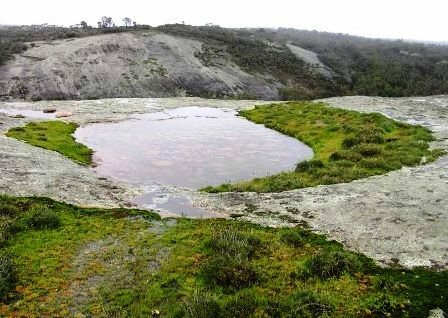 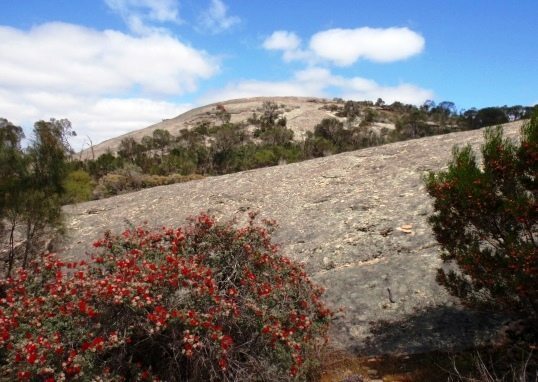 View from northern summit area of Boyagin Rock across small rock pool and the 'split-in-the-rock' to southern rock. 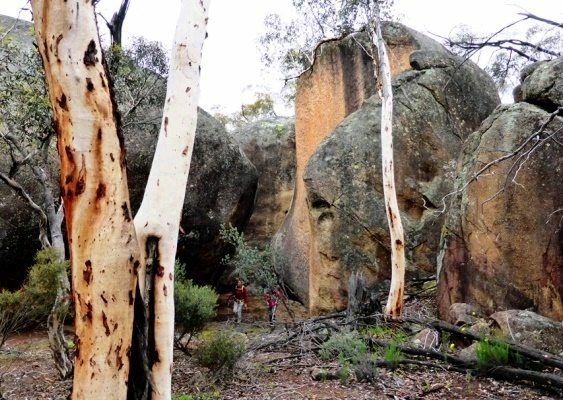 Large boulders along SE flank of southern rock. 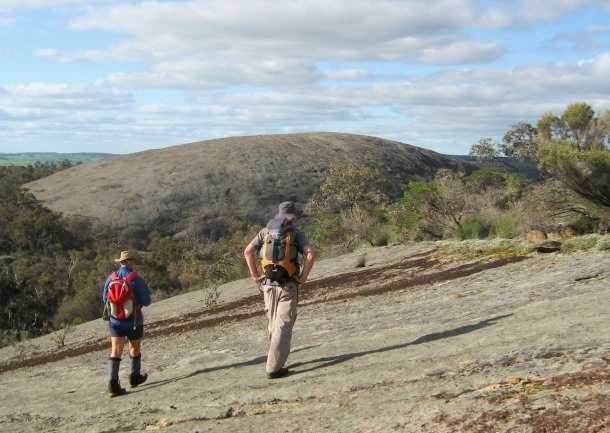 Walkers look across to northern summit of Boyagin Rock from southern rock. 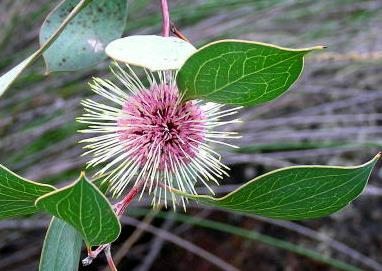 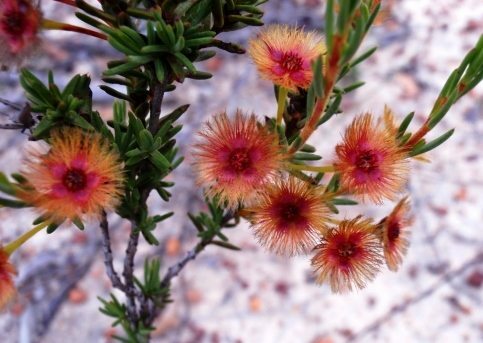 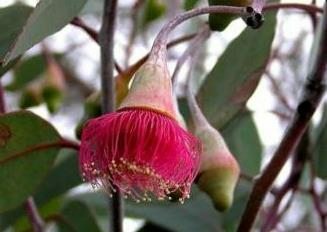 Gungurru (Eucalyptus caesia) on southern Boyagin Rock. 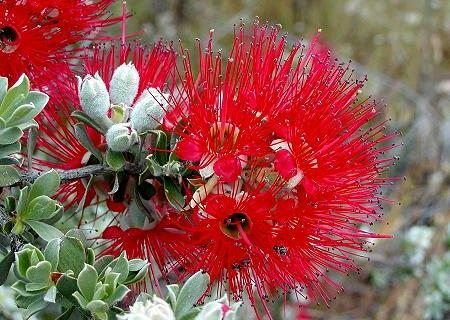 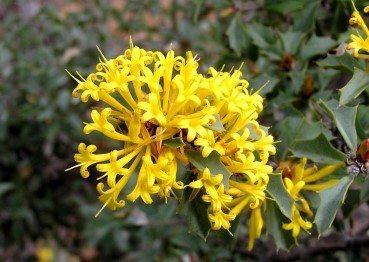 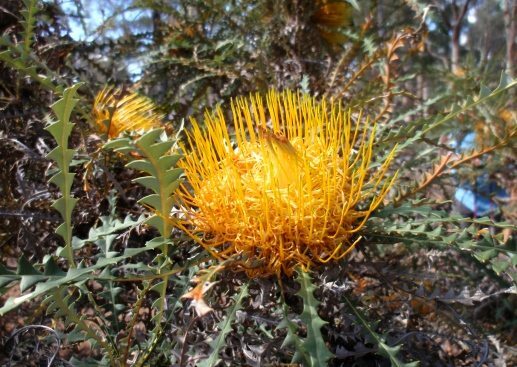 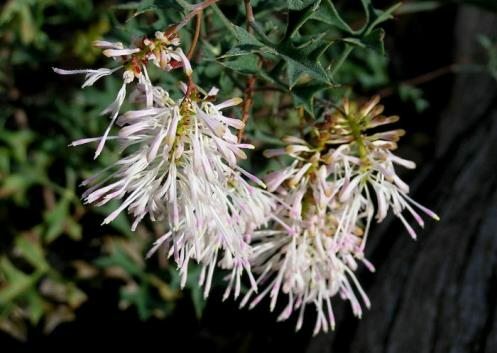 Sea Urchin Hakea (Hakea petiolaris) on Boyagin Rock. 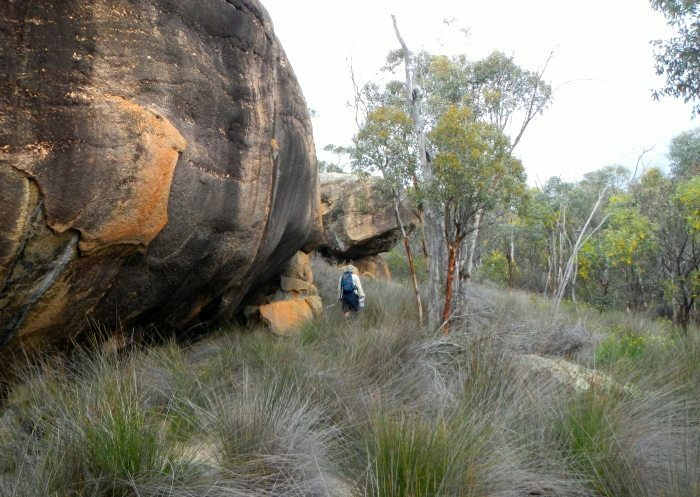 Walker among large boulders southwest of Boyagin Rock. 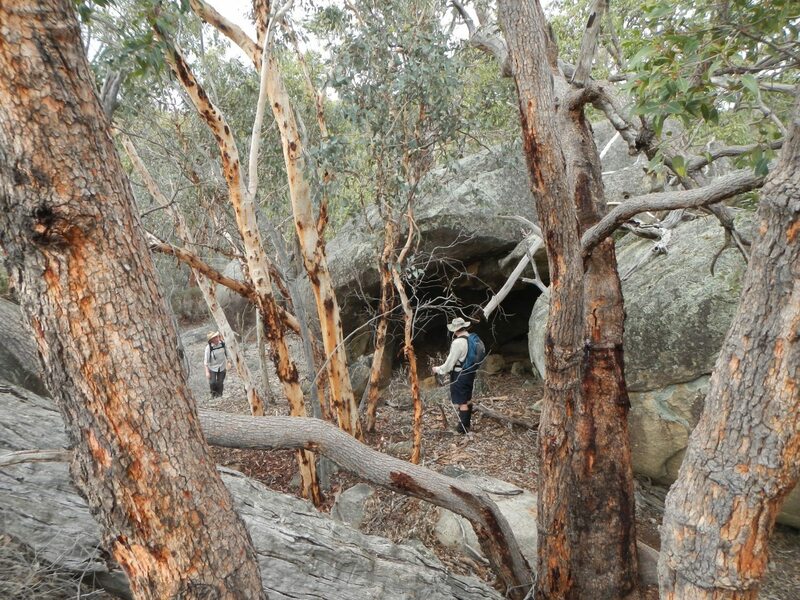 Walkers look back to northern Boyagin Rock from large boulder to SW.
Walkers at large cavern in boulder SW of Boyagin Rock. 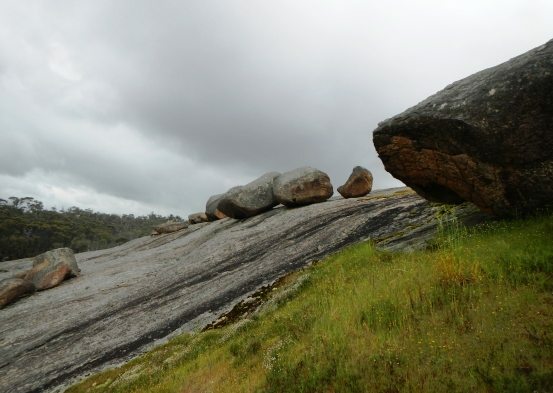 Large, delicately balanced granite boulders SW of Boyagin Rock. 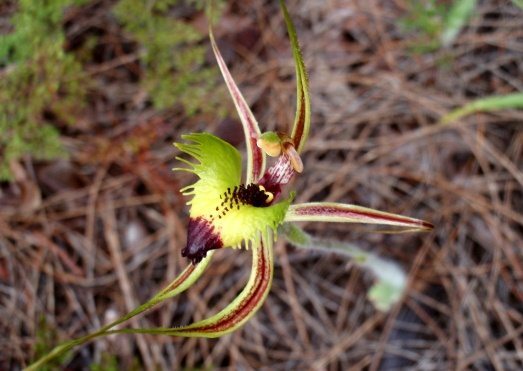 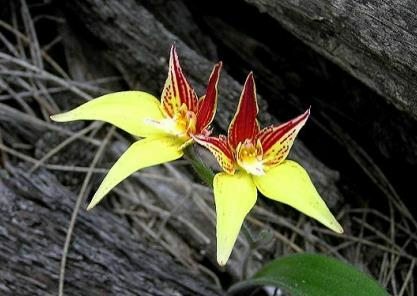 Green Spider Orchid (Caladenia falcata). 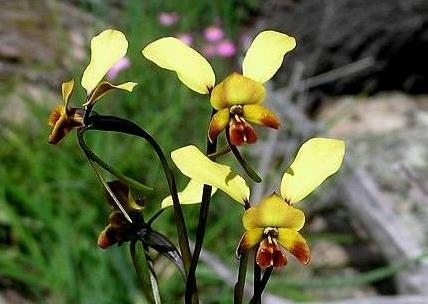 Common Donkey Orchid (Diuris corymbosa). 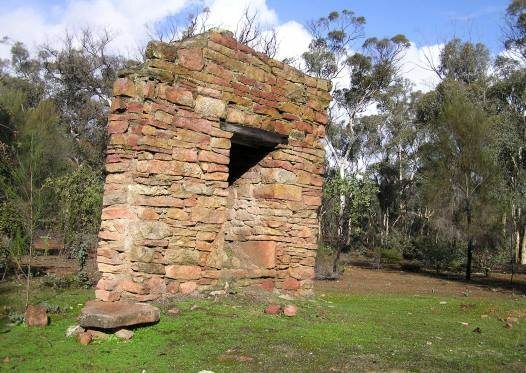 Historic site; Old homestead fireplace. 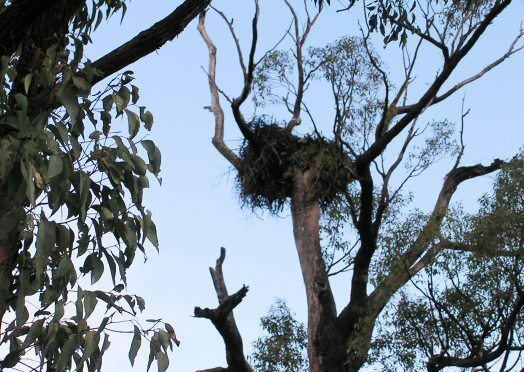 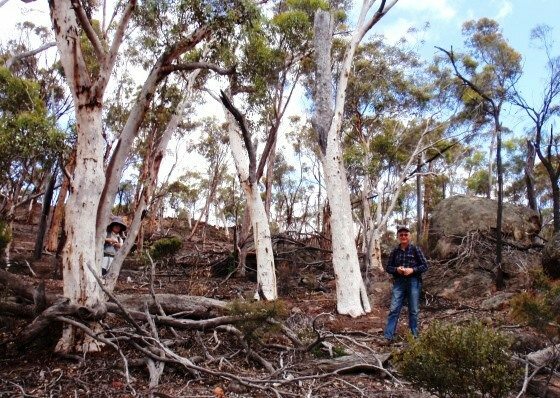 Wandoo woodland on laterite slopes in SW.
Wedge-tailed Eagle nest in southwest. 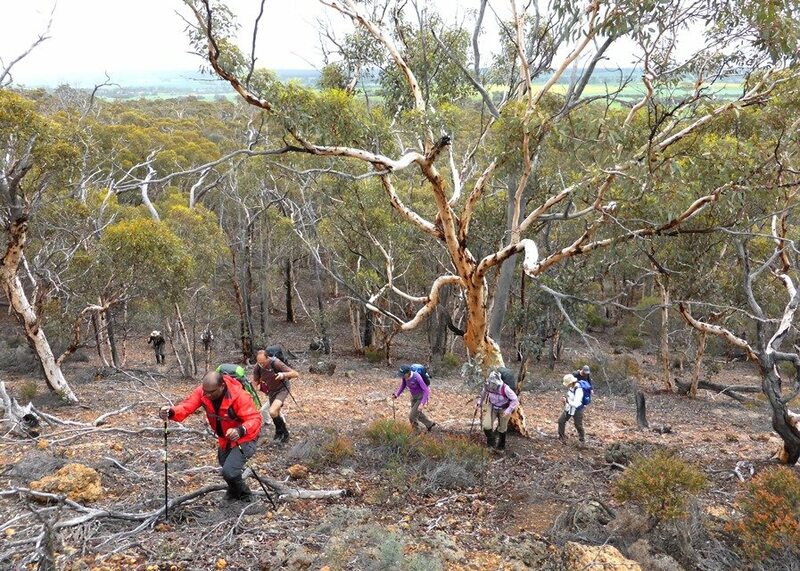 Walkers climb laterite breakaway in west. 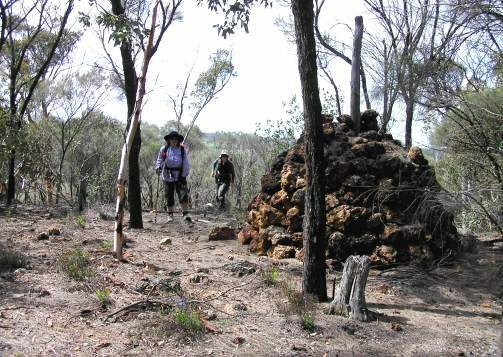 Walkers arriving at the cairn on summit of Mount Jelcobine in northwest. 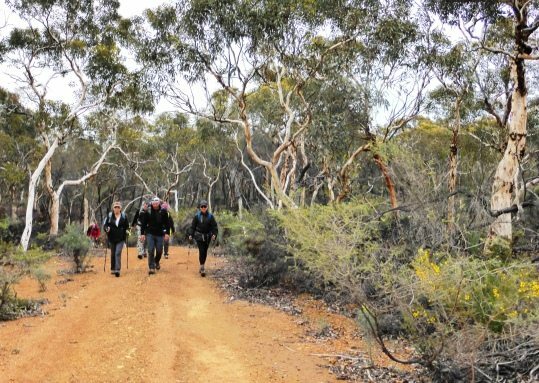 Walkers on vehicle track in north. 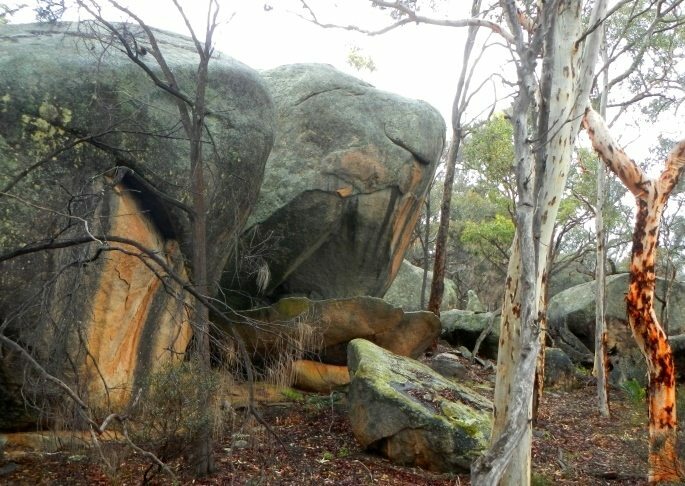 Large granite boulders less than 1km SW of Mount Jelcobine. 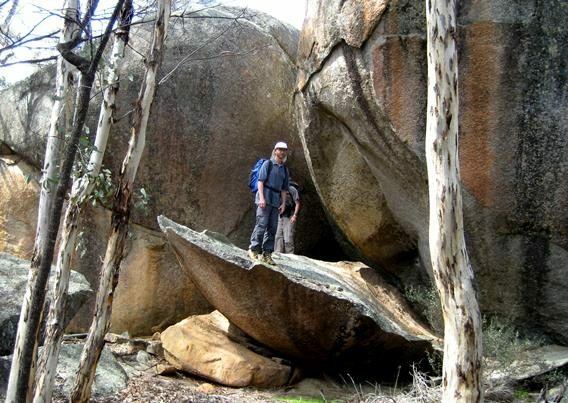 Walker explores boulders SW of Mount Jelcobine. 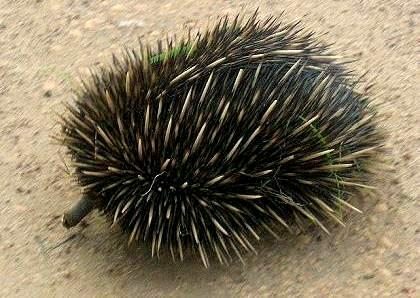 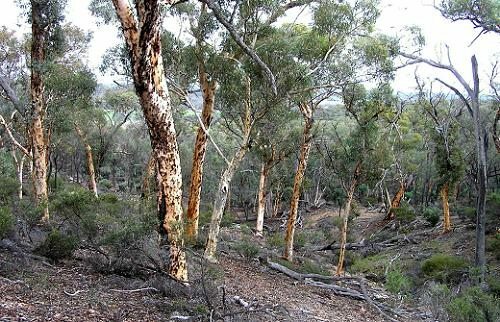 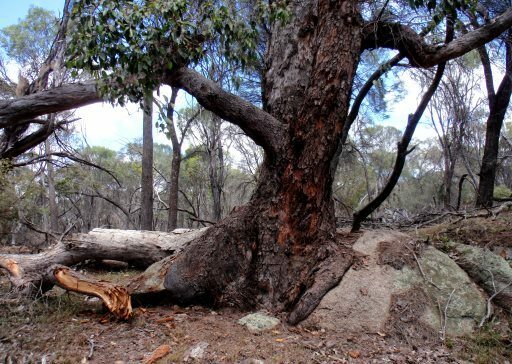 Walker in open wandoo woodland in north. 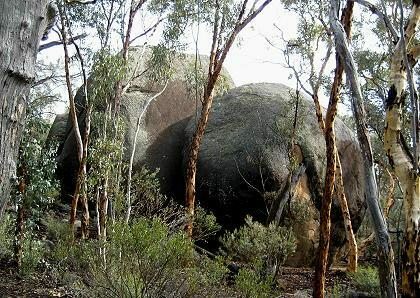 Giant granite boulders in north. 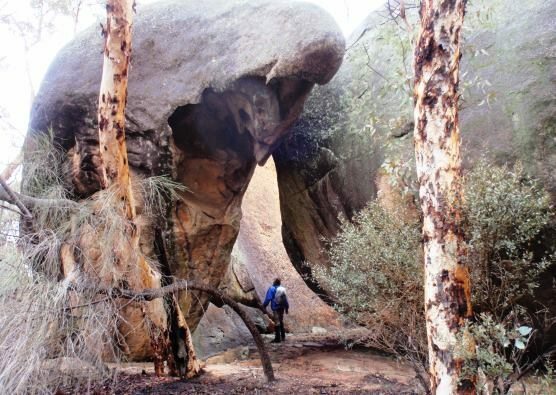 Walker enters natural enclosure formed by giant boulders in north. 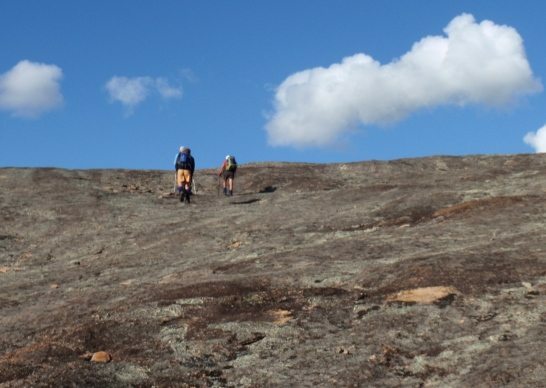 Walkers among the giant boulders or tors in the north. 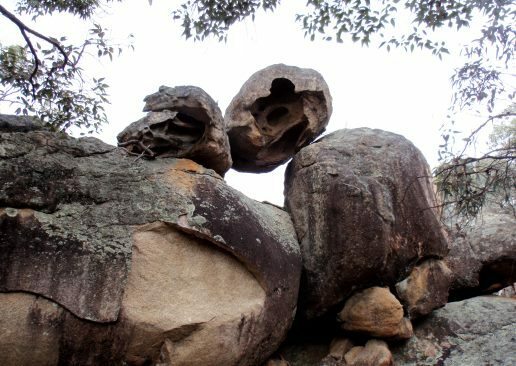 Large marri tree trunk moulded over granite boulders. 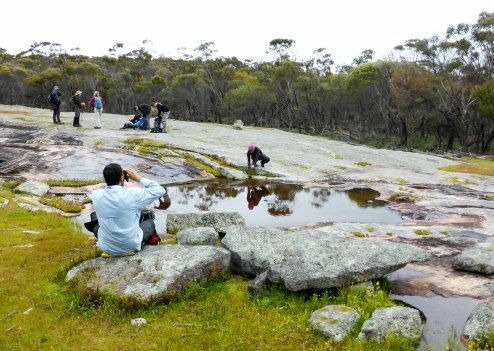 Walkers rest at small pool along stream course in north.